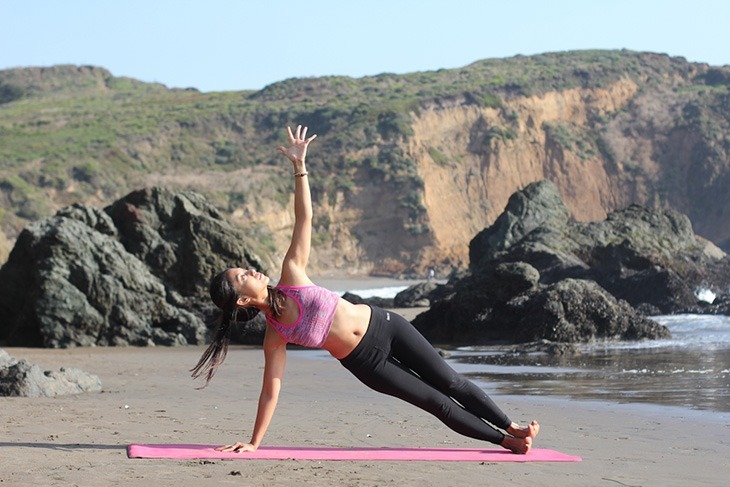 If you want to get rid of “arm flab” and build lean, toned muscle, improve your strength and stability, and build your bone density, these yoga poses can help! Practice them today for strong, toned arms tomorrow! Now repeat this as a mantra for your practice as you hold these challenging postures. With a mantra during a challenging yoga pose, we can start to tap into the calm in our mind. We can remind ourselves how strong we are, and where we begin to transform. When we start to transform our way of thinking and our way of being is when we start to transform ourselves from the inside out. Fortunately, this transformation also holds true for our arms! In yoga sequences, there’s a lot of focus on arm strength and stability from our wrists down to our fingertips. Start on all fours. Spread your fingers and tuck your toes, and lift your hips up and back. Stretch your hamstrings as you send your heels towards the mat. Press your thigh bones back, engage your core to draw your ribs towards your spine, and internally rotate your arms. Take 5 breaths here. Benefits: Downward Dog, also known as the “anchoring” pose, stretches your entire body. It’s also great for toned arms because it strengthens your arms, shoulders, and back. 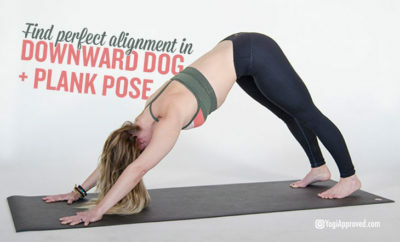 From Down Dog, bring your body forward and shift your weight evenly into your hands and feet. Keep your arms straight and engaged. For safety, make sure your shoulders stack directly above elbows and wrists. Benefits: Holding High Plank requires your entire body to be engaged and strong. This tones the core, which in turn strengthens and supports the low spine, and also gives you toned arms. Start with your elbows on the mat shoulder-width apart, and forearms parallel to each other. Hands can be interlaced or planted palms-down in front of your elbows. Curl your toes under and straighten your legs. Keep your legs strong and engaged. Stack your shoulders directly above your elbows, and bring your shoulders, hips, and heels into a straight line. Engage your core, and keep your gaze forward. For a more gentle modification, lower your knees to the mat. 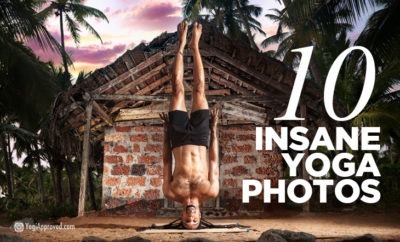 To make this pose more challenging, lift one foot slightly off the ground and hold (make sure you repeat on both sides). Benefits: This takes planking to the next level. All layers of muscles activate and contract in order to hold your body weight up, which in turn builds strength and lean muscle in your arms and core. Begin in a High Plank. Extend the gaze forward and bend your elbows to lower your ribs towards the ground. As you slowly lower, keep your triceps actively engaged. Draw your shoulder blades away from your ears, and lower until your shoulders are in line with your elbows. For the safety of your shoulders, don’t go lower than this. Hold for a full breath. For a gentler version, or if you feel your core disengage, drop your knees to the mat. For a more challenging modification, hover one foot a few inches above the mat as you lower into the push-up, and then repeat with the other foot. Benefits: Hello strong, toned arms and beautiful triceps! Hold this pose for a few rounds of breath and feel the strengthening in your arms, shoulders, and leg muscles. Start in High Plank and roll onto the outer edge of your left foot. Stack your right foot directly on top. Press into your left palm as you lift the right palm skyward. Distribute the weight evenly between your palm and your foot as you lift your right hip. Repeat on the other side. To modify this pose, lower the left (bottom) knee to the mat as you keep the right leg straight and lifted. To make this pose more challenging, lift your right ankle into a tree pose or extend it skyward. Benefits: When practiced consistently, Side Planks strengthen the shoulder girdle and stabilize wrists and elbow joints while toning the entire upper body. Begin on all fours. Place your elbows on your mat directly below your shoulders, your forearms parallel. Keep your elbows shoulder-width apart, and begin to walk your toes toward your elbows (about 4-5 steps up). Relax your neck and keep your gaze slightly forward. For a more challenging modification, start to lift one leg behind you coming to the tips of your toes. Start to shift more weight to your forearms and hold. Repeat on both sides. Benefits: Dolphin Pose strengthens the shoulders and increases flexibility in the arms and back while building and toning lean muscle. Strong, Toned Arms for the Win! Every day on your mat is different. Some days feel like you can go the extra mile, and other days it feels good to simply nurture your body with restorative stretches. 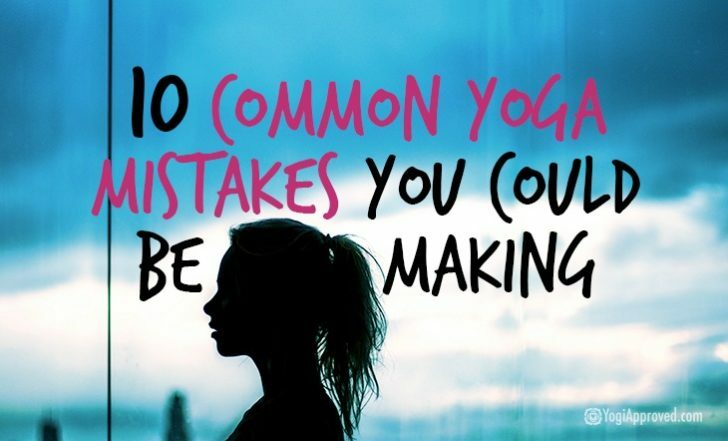 Keep that in mind as you navigate through your yoga practice. For your strong days, relish in the challenge, and hold the posture for an extra round of breaths. On days when you’re tired, modify and don’t be too hard on yourself. 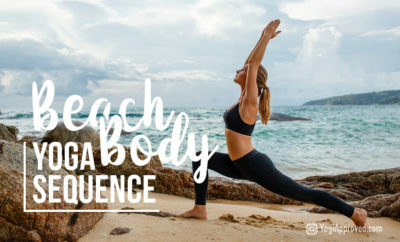 Yoga should always be a way to honor your body and mind. Enjoy the transformation, and rock those strong arms proudly! A wanderlust at heart, Charmie started her yoga teaching path during her travels through India. Her practice has been nicknamed as “shakti sway”. “Shakti”, meaning divine energy, and movement and “Sway” because of her love for flow, or the fluidity of movements. Currently she is pursuing her bliss of yoga, travel and design blurring the lines between work and play.